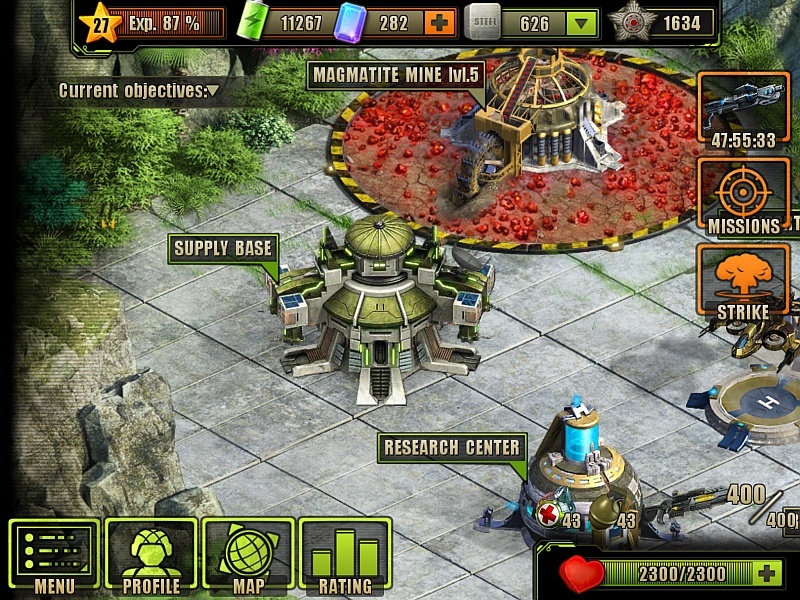 The Supply Base is one of the many Buildings in Evolution: Battle for Utopia game. 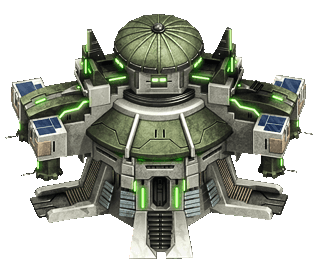 The Supply Base opens 2-4 slots enabling you to receive the selected resource for free one time a day. You start with 2 slots, but can unlock two additional slots with gems purchase. You can unlock any additional slot first. 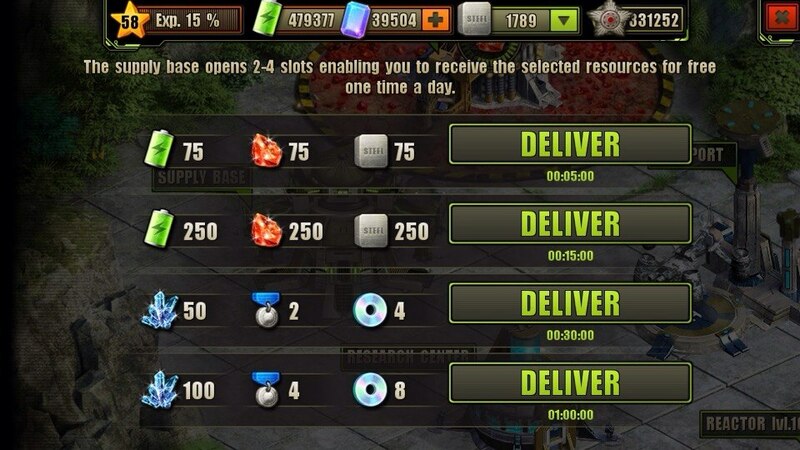 Don’t forget to collect the ordered resource at the same day, otherwise you will not be able to order the resource of this slot next day. how do i use a slot? you need to click on one of the three options and only after that you can click the “Deliver” button! It all depends on what you want to spend. If you have anything else where to spend gems, then, why not upgrade other stuff like buildings? I’m on level 18 and have researched all the technology and am currently working on upgrading the commando mg. My long-term plan for the moment is to grind 258 gems pr. Level and by the spider partner when I reach level 25. So for the moment I have better things to do with the gems. I can’t see any reason to upgrading the supply base at the moment.